Writing Workshops offer a nurturing environment in which writers learn more about the craft of writing. These classes are typically taught by widely published and award-winning authors. Workshop coordinators may list their guidelines at Submit Your Announcement. The Ada Long Creative Writing Workshop is a 3-week workshop that offers a rare opportunity for high school students to learn from published authors. Every day, students will work closely with nationally acclaimed novelists, essayists, and poets, all of whom have extensive teaching experience. he workshop is designed for high school students interested in creative writing for personal enrichment, as preparation for university work in creative writing, and as an introduction to creative writing as a career field. Up to 30 students — high school freshmen, sophomores, juniors, and seniors — can participate. Scholarships are available to assure that the Workshop is accessible to everyone. Students: Do you love stories—writing them, watching them, dreaming them up? Have you written poems you’ve never shown anyone? Does the thought of reading a new book excite you more than just about anything else? Then these half-day camp are for you. Pick either the morning or afternoon session; these camps are perfect for mixing and matching with Alabama School of Fine Arts’ other half-day camps this week! In either session, ASFA’s award-winning Creative Writing faculty will introduce rising 6 – 12th grade students to the fundamentals of poetry and prose, offer generative prompts and provide constructive feedback. Other sessions include spoken word/slam poetry and filmmaking. Tuition includes a writing journal, an anthology of work created during the week, and a daily snack. 1800 Rev. Abraham Woods, Jr. Blvd. Poets Tina Mozelle Braziel and Alicia Clavell conduct a poetry workshop for adults ages 18 and up at the main branch of the Birmingham Public Library. The workshop meets every 1st and 3rd Tuesdays in the 1st floor conference room. No registration is necessary. All levels of experience are welcomed in this supportive literary environment. The workshop is free and open to the public. Tina Mozelle Braziel, a graduate of the University of Oregon MFA program in poetry, directs the Ada Long Creative Writing Workshop at the University of Alabama at Birmingham. Her poetry has appeared in The Cincinnati Review, Main Street Rag, Appalachian Heritage, The MacGuffin, and other journals. Her chapbook, Rooted by Thirst, is forthcoming from Porkbelly Press. She and her husband, novelist James Braziel, live and write in a glass cabin that they are building on Hydrangea Ridge. 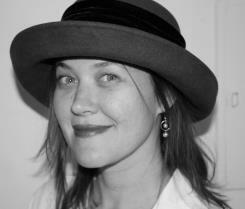 Alicia K. Clavell is founder, editor, and publisher of Southern Women’s Review (www.SouthernWomensReview.com), an on-line and limited edition print journal. Clavell has been writing about life and style in the South for almost two decades—whether in the pages of Southern Living magazine or in her book by Rockport/Quarry press, Southern Kitchens and Dining Spaces. She is also a former Hackney Literary Award winner and a two-time winner of the University of Alabama at Birmingham Barkesdale-Maynard Poetry Prize. Clavell currently serves as an instructor and freelance writer/consultant for magazines and on-line venues. For more information, contact Haruyo Miyagawa, Birmingham Public Library, 2100 Park Place Birmingham AL 35203-2974, 205-226-3670, hm@bham.lib.al.us. Atlantic Center for the Arts (ACA) is a non-profit multidisciplinary artist residency facility located at 1414 Art Center Avenue, New Smyrna Beach, FL, 32168. ACA organizes many programs for artists of all ages and professional levels. See website for more information.